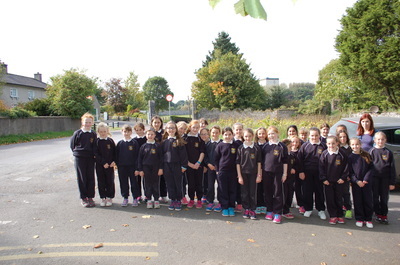 Fourth class did a history trail of Mitchelstown over a two week period; the first week with Ms. O'Brien and the second week with Ms. Doyle. 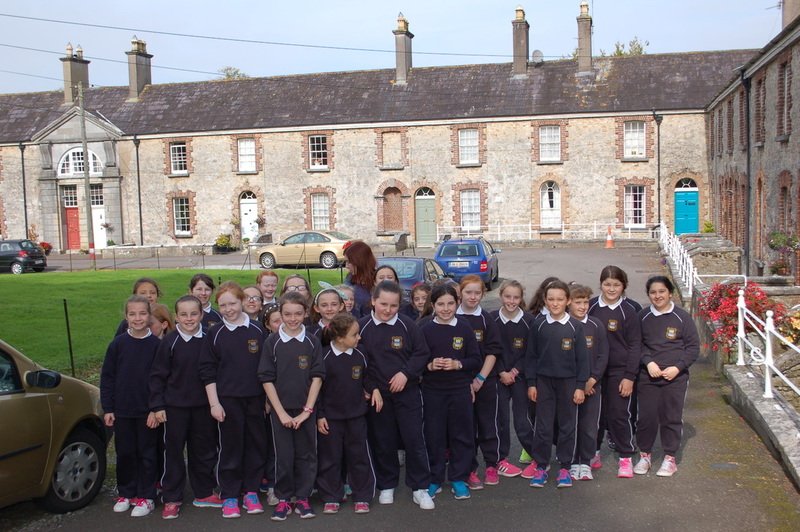 Ms. Watson and Ms. Hayes accompanied them on the first week, and recalled their childhood recollections of various places, e.g. the Star Cinema, Central Hall with the Travelling Shows; the cobblers/shoemakers where their schoolbags were made and the Mart which used to be so busy each Thursday. 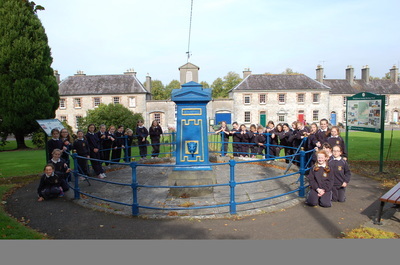 They also saw the Forge where Ms. Hayes remembered farmers bringing tools to be mended and horses to be shod, and many other memories of Mitchelstown in times gone by. On the second day Ms. Hayes and Ms. Doyle went out the Clonmel Road and Ms. Hayes told the girls about her childhood at the Swimming Pool which was located there; she recalled the many shops and businesses which are there no longer. 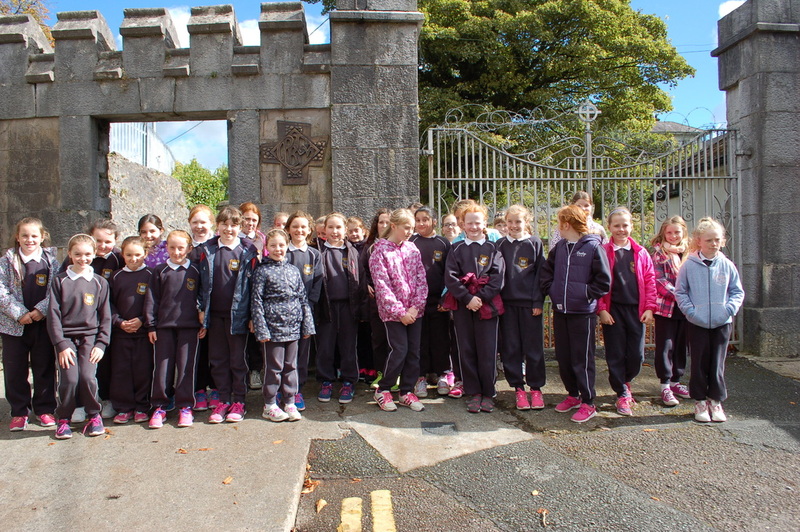 The girls walked around Kingston College and looked at the site of the former castle, closing their eyes and pretended to be there one hundred years ago and imagined what it was like then. 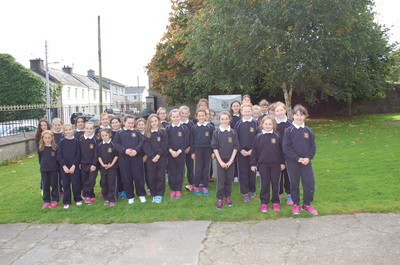 After that they walked to Georges' Street where Ms. Hayes told them all about the Oisín Cinema and Mayflower Ballroom where so much socialising was done in former times, and finally they went to the Town Hall and said a prayer for all the men, women and children who were buried there during the famine. Great help and information was provided to the girls from the book "Another side of Mitchelstown" by local author and historian, former pupil of Bunscoil na Toirbhirte, Bill Power. 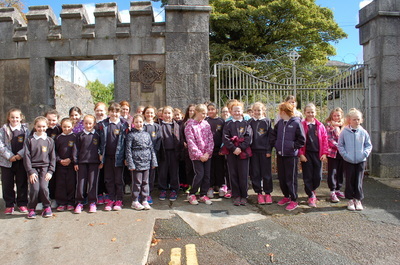 The girls really enjoyed the history trails which were aided by the beautiful weather we've been having over the past few weeks.